Happy New Year crafty friends! Wishing you a year filled with family, friends, health, wealth and happiness! Die cuts all by My Favorite Things. 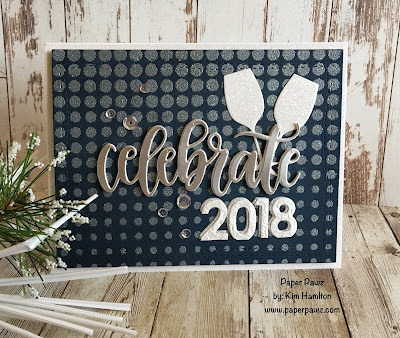 Background Stencil by Altenew and the embossing powder is the Bridal Tinsel by Ranger. All Glitter and specialty paper by Tonic.